Home > Sale > Buy 3 Get 1 Free! Read instructions to activate! 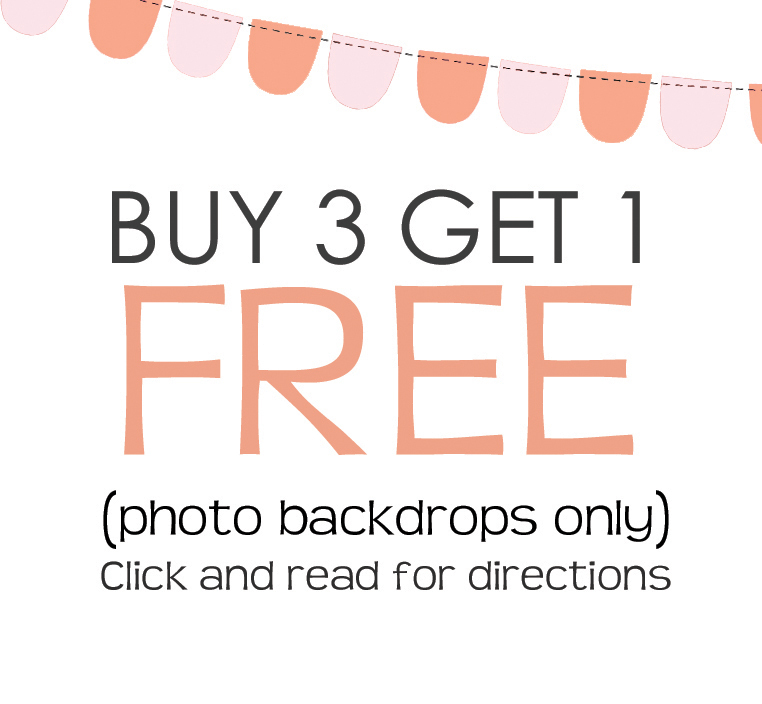 Buy 3 backdrops get 1 free!! For every 3 backdrops you purchase, you will receive an additional backdrop for free! Purchase 3 backdrops, receive one additional free backdrop. Purchase 6 backdrops and receive 2 additional free backdrops. Purchase 9 backdrops and receive three additional free backdrops etc! Please read the directions below to activate the deal! 4) If you will be using the deal more than once in a single purchase (for example, if you are purchasing 6 to receive an additional 2 for free), please change the coupon code to BUY6GET2FREE or BUY9GET3FREE, respectively. Fine print: Cannot be combined with any other coupon code, discount, or sale item. Cannot be applied to previous or future purchases. The free backdrop will automatically be printed the same size as the smallest backdrop purchased. For example, if you purchase two 5ft x 5ft backdrops and one 4ft x 3ft backdrop, your 4th (free) backdrop will be printed as a 4ft x 3ft. If you purchase three 5x5 backdrops, your free backdrop will be printed as a size 5x5. This deal cannot be combined with any other coupon code, discount, or sale item. Fantastic quality. Pleasantly surprised with how great these look in photos! I purchased a few backdrops for food photography and was so impressed with the quality overall that I'm back to get more! They all look beautiful. I am ordering 6 backgrounds right now.